Deer hunting requires a combination of skills, patience, and equipment. While you have a lifetime to master the first two, you need to make smart equipment purchases from day one. Choosing the best possible scope for your rifle is one of the tougher decisions you must make. Many people breeze through this at first only to realize they’ve made a huge mistake once they are in the woods. The key to choosing the best riflescopes for deer hunting is knowing what features and attributes are important when hunting deer. You then browse through the top models on the market and choose the one with the most of those features or attributes. Below you find our suggestions for the best rifle scopes on the market today. We took a variety of scopes in different categories but each of these optics will be a good option to choose when you’re going deer hunting. 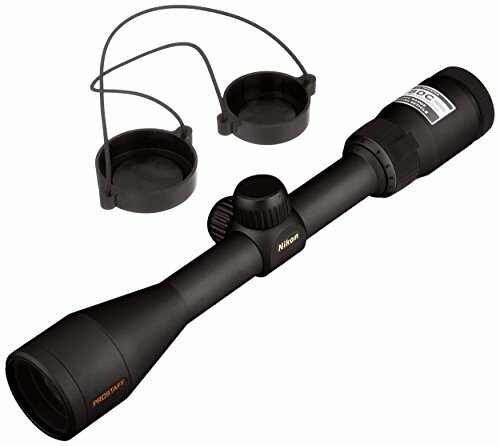 5.1 What is the best rifle scope for hunting? 5.2 What is the best rifle scope under $500? 5.3 What magnification do I need to hunt deer? 5.4 What’s the best scope for a 308 rifle? 5.5 What is the best rifle scope for long range hunting? 5.6 What is the best rifle scope for 300 yards? 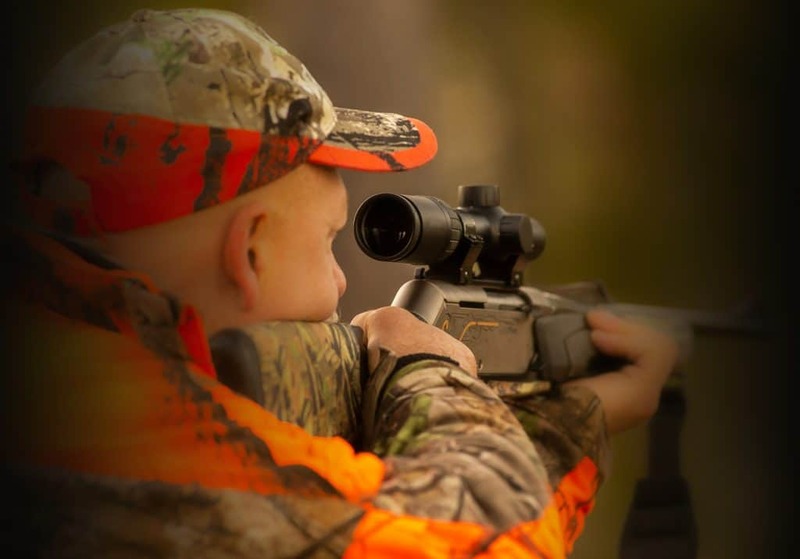 First, we’ll outline the most important features to look for when buying a rifle scope for deer hunting. Next, we’ll look at each of the models listed above to determine which would be the best scope for the job. 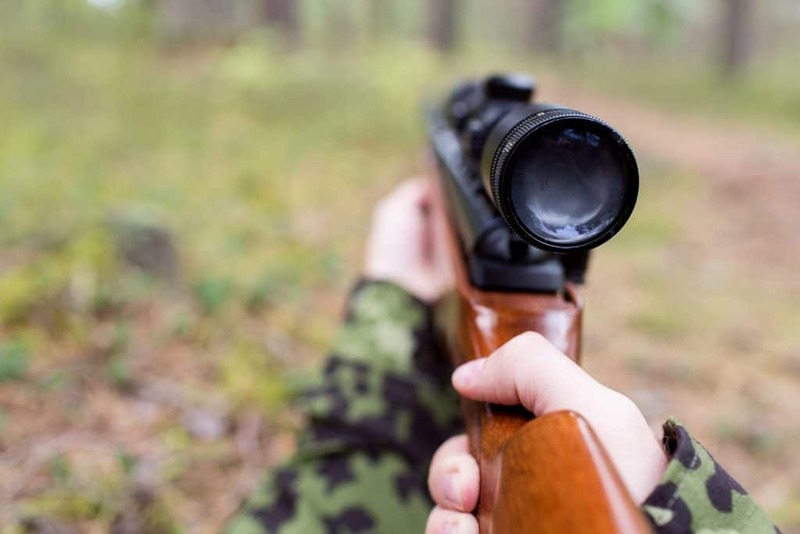 One of the first decisions you’ll encounter when searching for a rifle scope is whether to purchase a fixed scope or a variable scope. A fixed scope is almost always the cheaper option, which is why it attracts so many first-time buyers looking to save a few bucks. In the long run, a variable scope is a far superior option and is worth the additional investment if you want a reliable and enjoyable hunting experience. The difference between the two is that a fixed scope provides a single level of magnification. 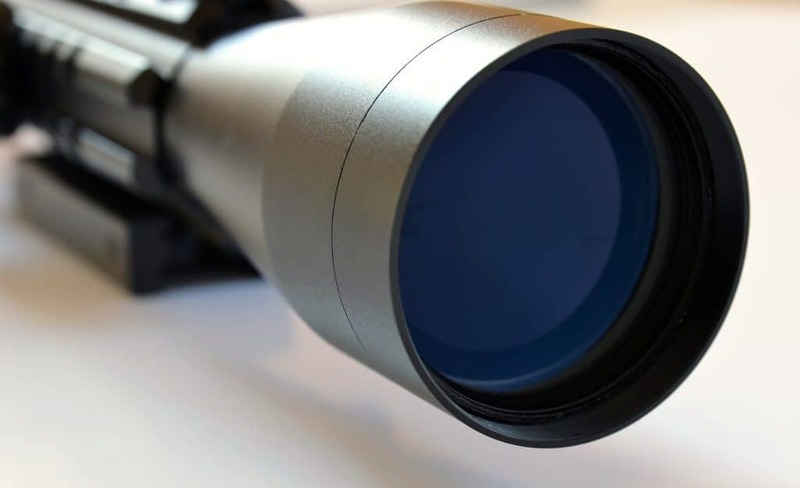 A variable scope allows for multiple levels of magnification within a certain range. This is often denoted in the product name by listing a range of numbers, such as “3-10”. The major benefit of having variable levels of magnification is that you don’t need to physically move to change your view. The magnification and field of view are changed easily on the scope, which means you can remain perfectly still. 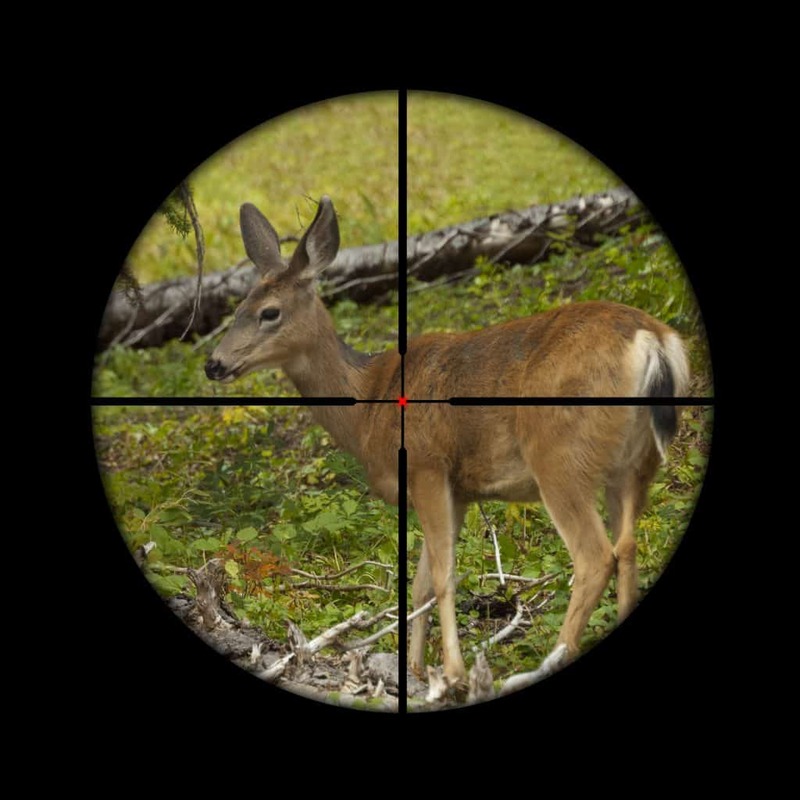 With a fixed scope, you may need to physically move to keep the deer within the field of view of the scope. That means the dear could sense your movement and leave the area. Light can behave in odd ways when interacting with a lens. Just think of pictures you may have taken in the past with odd illusions in the background. These often occur because light refracts when it interacts with a lens. This can lead to very poor visibility. It can even cause something to appear in one spot when it is really standing somewhere else. Obviously, that’s bad news when you are aiming to take a shot at a deer. When you purchase the cheapest lens, you can find you increase the risk of experiencing such illusions. A high-quality lens, on the other hand, will have features customized to reduce or eliminate those problems. The three factors that influence the image quality the most are the quality of the lens, the coating on the lens, and the design of the tube housing the lens. If any of these aspects is sub-par, then it could affect the image in some unwanted fashion. A quality lens with proper coating and an efficiently designed tube may cost a bit more, but it’s another investment that is worth the money. Another number that is often quoted in the product name is the objective lens size. It is usually a value between 40mm and 50mm. The objective lens is the lens at the end of the scope closest to the barrel. The lens that is closest to your eye is called the ocular lens. The size of the objective lens will impact multiple aspects of the scope, including the amount of light entering the tube, the size of the scope, and the weight of the scope. A larger objective lens is superior because it allows more light to enter the tube. But the benefit of increasing the amount of light is outweighed by the inefficiency of the scope once you reach a certain threshold. Anywhere from 40mm to 50mm should be enough. There are some decent scopes with 60mm objective lenses, but they are few and far between. As the size of the objective lens increases so too does the tube diameter. If the tube is too large, it becomes impossible to comfortably shoulder your stock. Some are even so large that only the bottom of your chin will touch the stock. This leads to counter-intuitive methods being used when taking aim at your target. Larger scopes are also a lot heavier. A 75mm scope could way as much as four pounds. That weight becomes very noticeable when you’re taking aim. It’s also noticeable once you spend a few hours hiking through the woods with it. And rest assured that the deer are noticing it as well. A lens between 40 and 50mm is the best solution. With some as large as 60mm being acceptable if the tubing is designed properly. Before diving into the five best scopes on the market let’s consider a handful of additional terms or features you might encounter. For example, you’ll often hear or read a reference to the field of view(FOV) of a particular lens. The field of view is the horizontal distance you can view in the scope at 100 yards. As the magnification level increases the FOV will decrease. The FOV is affected by the focal length of the objective lens and the design of the eyepiece. The material of the tubing is an important consideration. You want a quality, durable material that can survive falling from a stand. You don’t want the tubing to be too heavy. Lightweight aluminum is what you’ll find on most high-end deer hunting scopes. Some scopes have illuminated reticles to allow for high accuracy in low-light situations. It’s a great feature that makes aiming much easier, but not one that should be considered mandatory. 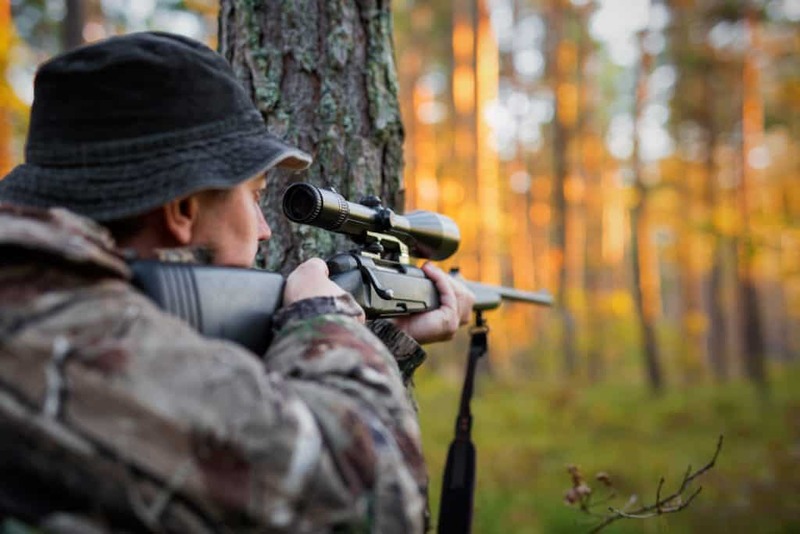 Next, let’s look at the five best riflescopes for deer hunting on the market today. We’ll see which of the scopes are best in terms of lens quality, FOV, and some other features that were covered above. You can then use that information to help you make a smart purchasing decision before heading to the woods. The Vortex Optics Viper is an advanced scope system designed for hunters that know what they want. It is designed with a pleasant balance of accuracy, magnification, durability, comfort, and ease of use. 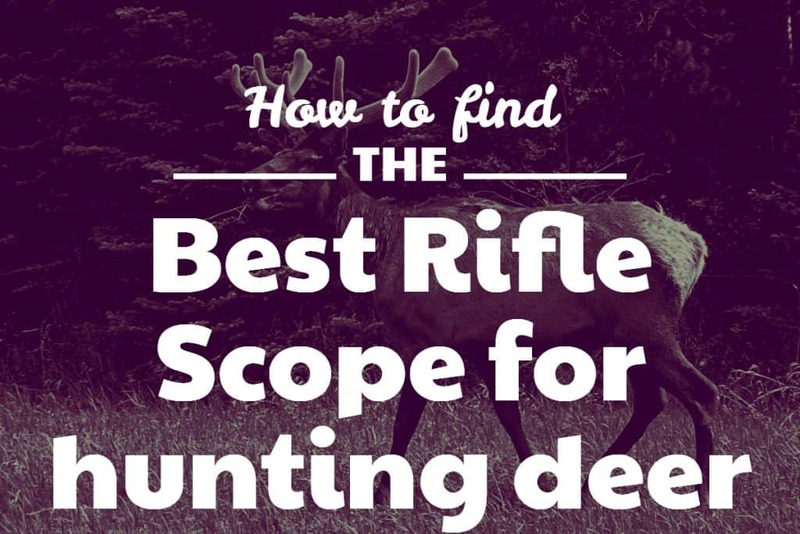 All of which are important qualities of the best riflescopes for deer hunting. It is a variable range scope with a 4x zoom range. The objective lens is actually on the smaller side when compared to most of the competition. It’s only 30mm in diameter, but that’s more than enough to deliver enough light to the tube. And thanks to the use of extra-low dispersion glass the resolution is high, the color fidelity is increased, and the overall image quality is incredible. Vortex designed the reticle for the Viper to increase accuracy and decrease guesswork in windy conditions. The reticle on the second focal plan will continually hold the same appearance while the dead hold BDC reticle can be used to make adjustments to your aiming on the spot. Reference marks on the BDC reticle allow for proper compensation when aiming over a long distance or during high winds. 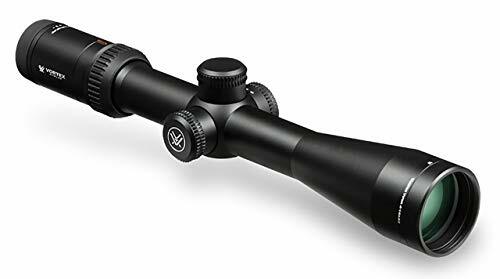 The VX-2 from Leupold is an affordable and functional scope. It features a 40mm objective lens, 3-9x adjustable magnification, and it only weighs 11.2 ounces. It’s compact and lightweight, yet highly accurate and durable. What more could you want from a rifle scope for deer hunting? The FOV at 100 yards and 3x magnification is 34.6 feet. That FOV is reduced to 14.6 feet when the magnification is increased to 9x. The impressive FOV and resolution of the lens make this an ideal scope for long range shooting. The resolution is thanks to Leupold’s Index Matched Lens System. A lot of manufacturers use unique lens systems to improve image quality. The Index Matched Lens System is one of the best. This Leupold VX-2 also shines with durability. It’s fog proof and waterproof. There’s also a diamond coat on the lens to prevent abrasion. Not only will the tubing last a lifetime, but the image quality won’t deteriorate with time. There’s no denying that the Sightron SIII is one of the best riflescopes for deer hunting. It’s been a favorite of many hunters for some time now thanks to the large objective lens, efficient tube design, durable construction, and extreme accuracy at long range. It’s safe to say this scope has every feature necessary to accommodate serious hunters. The higher price tag can cause newcomers to shy away, but those who understand the importance of the scope will spend the money to get the best. It’s not the lightest scope on the market, weighing nearly 3 pounds, but all of that extra weight is put to good use. The 30mm body is designed from a single piece of aircraft aluminum. The tubing is twice the thickness as most other scopes on the market. It adds a bit of weight but increases the durability. It’s also waterproof, nitrogen filled, and fog proof. You can rely on this scope during any weather. The variable range magnification on the Sightron SIII SS can settle anywhere from 10x to 50x, which is considerably more than any other scope on this list. It’s also considerably larger and heavier than the others. The target knobs on the scope are designed to be oversized to make adjustments easier. Nikon is well known for manufacturing high-quality entry level scopes. They are great for beginners and seasoned professionals who know what they want in a scope. Nikon can reduce the cost of the scope by cutting out some extra features while still implementing everything necessary to manufacture a quality device. 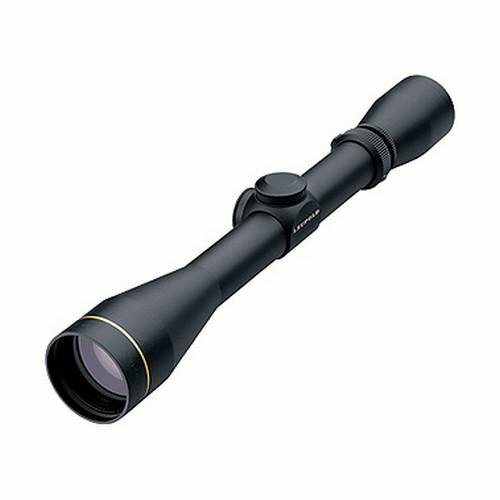 This ProStaff scope features a 40mm objective lens with magnification ranging from 3 to 9x. Both are fairly standard and many would agree that they are ideal for your average hunting experience. The lens is large enough to let in enough light without weighing down the scope. The variable range is enough to take shots from far away without eliminating your FOV. The tubing is crafted from aluminum. It is waterproof, nitrogen sealed, and O-ring sealed. It will work great in wet or foggy conditions. The fully multi-coated optical system can transmit 98 percent of light through the tubing. This 8-Point riflescope from Simmons is ideal for beginners. It’s simple, cheap, and impressive considering its price. It relies on a fully coated optics system to deliver the maximum amount of usable light possible while maintaining high image quality. The Simmons 8-Point has a windage and elevations system that is intuitive and easy to use right out of the box. The objective lens is 50mm in diameter and the magnification adjusts from 3x to 9x with ease. The field of view is 31.3 feet at 3x and 10.5 feet at 9x. Overall, it’s above average in all of its qualities but is still outclassed by most of the other options on this list. The Leupold VX-5HD is an all-around fantastic scope. It is one of the overall best hunting optics on the market today. It combines the ‘best-of’ glass and coatings with a massive objective lens with a tremendous 5x power. The result? You get a scope with a magnification range from 3x to 15x. Whether you shoot at closer ranges or long-range, you can use this same scope for it all! The 56mm objective lens in combination with the 30mm tube allows a lot of light to get into the sight to produce a vibrant, vivid and sharp high definition image. You will get quick target acquisition and a crisp image in nearly any lighting condition. Well, except for when it’s dark. Leupold, as you’d expect, has multi-coated lenses in this optic for deer hunting. These reduce reflection and glare and improve image quality. The lens edges are blackened to further reduce glare. These coatings additionally increase the durability of the lenses as they make them scratch- and dirt-resistant. The tube is made from a single piece of aircraft grade aluminum. It’s sturdy and rugged and it won’t let you down in the field! The tube is sealed and purged with Leupold’s proprietary Argon and Krypton gas blend. This practically eliminates thermal shock and makes this optic fog-proof inside and out. Choosing the best from the options above depends on your preference. 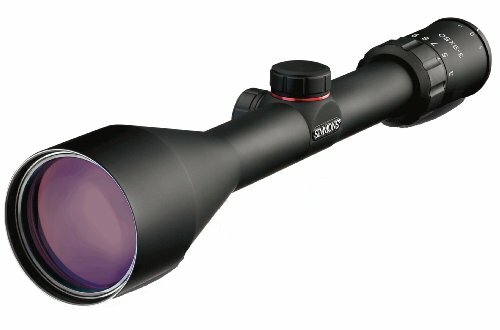 If you’re new to hunting and want a cheap, yet reliable scope, then the Simmons 8-point is a great starting scope. But once you have a bit of experience under your belt, you will want to graduate to something a little better. The Nikon and Leupold scopes are affordable options with their own unique advantages. The Leupold VX-2 has a large FOV, and an Index Matched Lens System that delivers amazing image quality. The Nikon is compact, lightweight, and durable. At the end of the day, if you want the best scope for long-range hunting, then you’ll have to choose the Sightron SIII. It’s large and heavy, but it’s also highly accurate, durable, and easy to use. It has a large FOV, an efficient tube design, and great image quality. The overall best scope for hunting deer might be the Leupold VX-5HD. It combines a large magnification range, excellent HD imaging at a reasonable price. It’s the all-purpose scope for most deer hunting situations and light conditions. 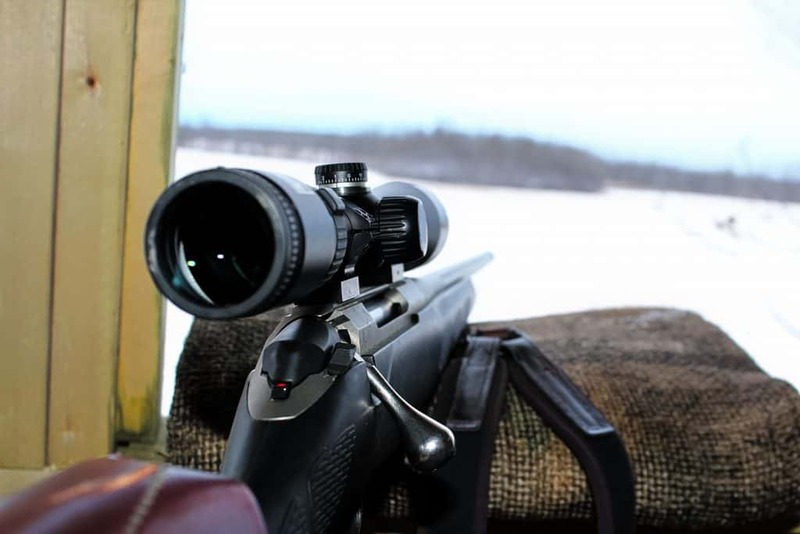 What is the best rifle scope for hunting? There’s truly no perfect answer to this question. First, what are you hunting? Varmint? Predators? Deer? Elk? Each of these (and all the ones not listed) will have a different ‘best’ scope for the type of game. In addition, you have to ask yourself whether you’ll shoot short-, medium- or long-range. Are the animals usually out during dusk and dawn or in bright sunlight? Depending on these and more factors you can then home in on your ‘best’ scope for hunting. What is the best rifle scope under $500? The category under 500 Dollar provides several excellent rifle scopes for hunting and target shooting. Based on your requirements for distance, lighting and situation, you can find a number of optics you’ll be happy with. 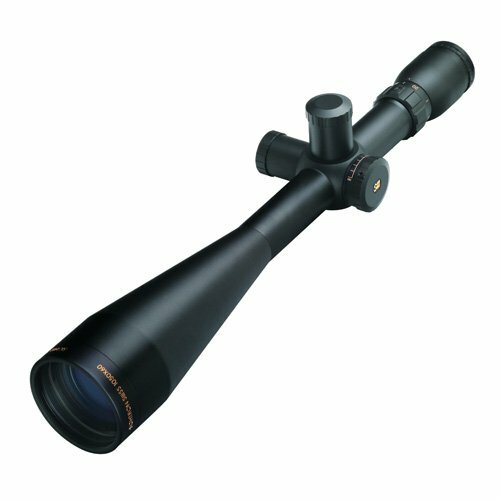 We compiled a list of the best rifle scopes under 500 Dollars you can find here: https://riflescopescenter.com/best-under-500/. What magnification do I need to hunt deer? The best magnification to hunt deer depends on the distance. Generally, the best magnification is the lowest one that provides you a clear image of your target. The rule of thumb is to have at least 1x magnification per 100 yards. If you hunt for big-game and the distance is around 200 yards, then you want to go with a minimum of 2x. However, you will typically want a 3x for that distance. At 300 yards you’re looking at something like 4x to 5x and when you aim at 400 yards, then look at a 6x. Hunting smaller animals will accordingly require you to choose higher magnifications for the same distances in order to get a good image. Variable scopes with 3-9x or 3-12x are typically good all-purpose scopes for hunting medium- to big-game at typical ranges. What’s the best scope for a 308 rifle? The .308 by Winchester is a very popular caliber for hunting and target shooting. The recoil is not too heavy so it’s an overall good caliber to use for a wide variety of ranges. Depending on the lighting conditions and ranges you are looking to shoot, you can find a wide variety of different scopes at your disposal. We compiled a list of the best ones on the market that you can find at https://riflescopescenter.com/best-308/. What is the best rifle scope for long range hunting? Long-range hunting for some hunters starts at a few hundred yards while others consider 1,000 yards to be long-range. 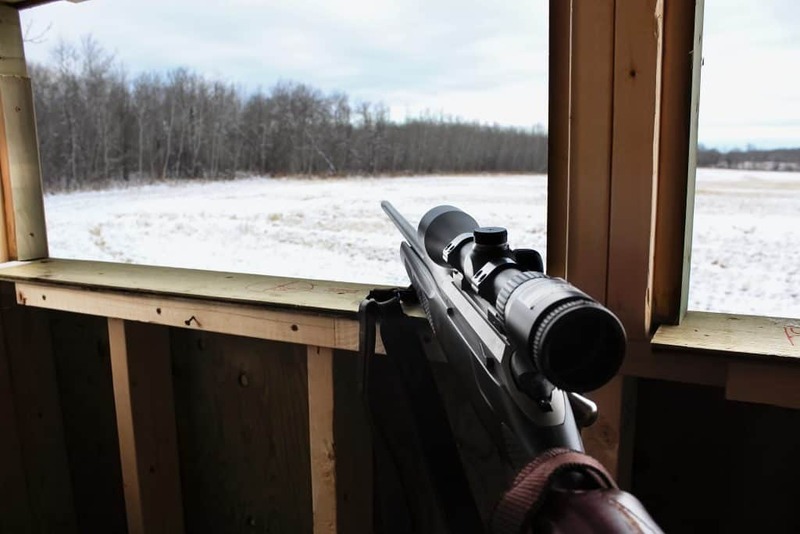 Depending on where and what you’re hunting, the maximum distance you’re allowed to shoot can be regulated. Long-range rifle scopes require excellent lighting capabilities and quite a large top-end of magnification. 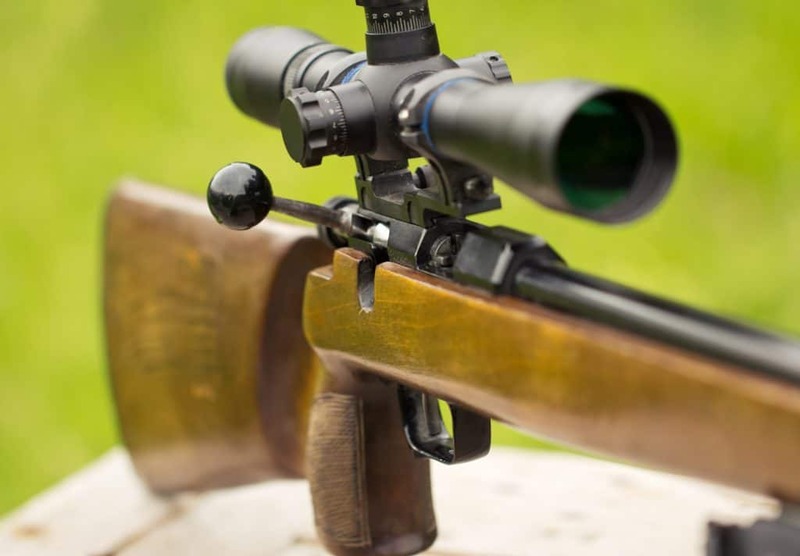 Find the best rifle scopes for long-range hunting in our overview here: https://riflescopescenter.com/best-long-range-rifle-scope/. What is the best rifle scope for 300 yards? Using a scope to shoot around 300 yards requires at least a 3x magnification. Typically, you want 4x or higher depending on the size of your target, lighting conditions, etc. There are several great scopes. If you’re hunting in the 300 yard distance, then any of the scopes in our list of the best rifle scopes for deer hunting will be a good choice. Similar, all the scopes we suggest in the top riflescopes below 500 Dollars will be a good choice. For the 2019 version of this list we didn’t have to change much. The scopes from 2018 are still the top hunting optics for 2019. To round out the different sights we suggest, we also added the Leupold VX-5HD to the list. 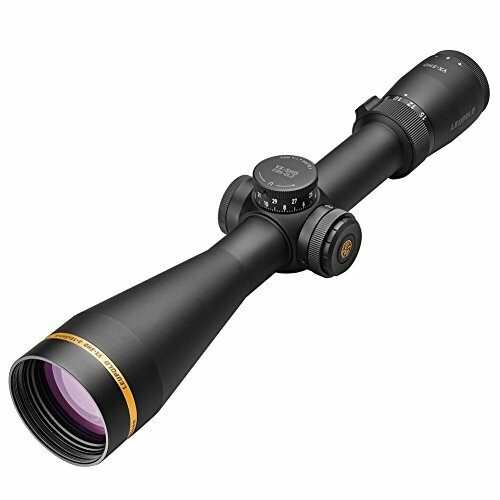 It’s a fantastic scope for low-light conditions and the 5x power provides a wide range of usable magnification making it a well-rounded optic for hunting.